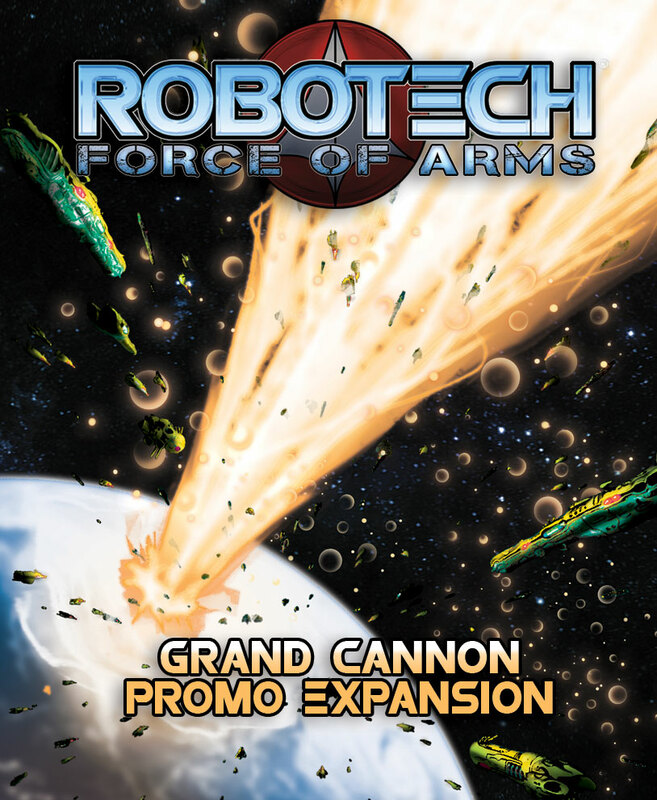 ROBOTECH: Force of Arms now available in stores and online! The brave forces of the RDF, with the SDF-1 vs. the Zentraedi warrior giants with the fate of the world in the balance. Order today. Earth has reached the CRISIS POINT! Pre-order the game today and get a limited edition Robotech playing card deck, variant comic cover of the FCBD Robotech coming and the Grand Cannon booster pack. ROBOTECH: CRISIS POINT – Pre-Order Now!! We are happy to let you know that the Robotech: Crisis Point game has entered production and can now be pre-ordered with some extra pre-order limited edition ROBOTECH items and exclusives!!! Players are trying to destroy their opponent’s forces while also successfully defending their own. Players take turns deploying units to the battlefield and then utilizing their combat units around the outside of the battlefield to defend their own forces and destroy those of their enemy. They will then use tokens they have earned and their hero and command cards to win the day. The player with the most combined points in defended and successfully destroyed units and strategic locations wins. Following the annihilation of Earth, human survivors struggle to rebuild their once-great planet, only to be faced with a new threat. The Robotech Masters arrive to complete the mission that their Zentraedi armada began… to secure their empire by reclaiming the Protoculture matrix before it is located by the Invid. In their way stands the Army of the Southern Cross! Force of Arms will have a free “Grand Cannon Expansion” available around June. The Grand Cannon expansion expands the way the game can be played and ads new cards to the Force of Arms game experience. 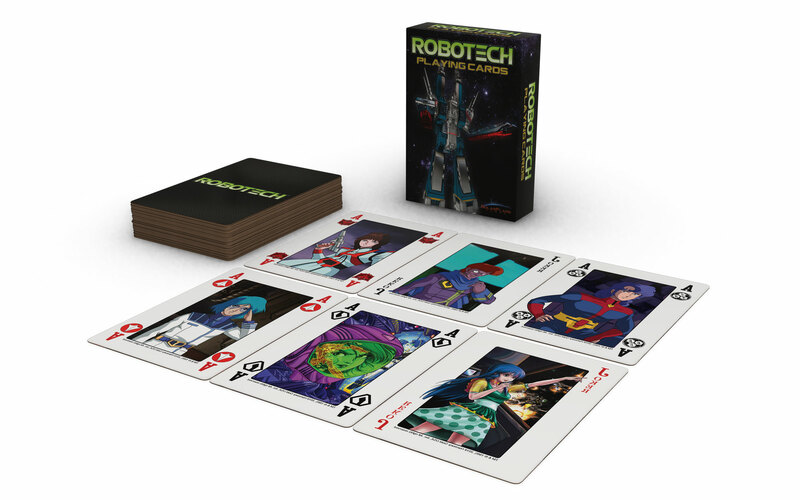 The bundle includes a Limited Edition custom set of Robotech playing cards. Thank you as always for all of your support and we look forward to bring you more fun. 3 of 6 Pods now painted for #ROBOTECH ®: Force of Arms. Hope you are enjoying the progress. We are still expecting to have the games in July 2018. Follow us on FB and twitter www.twitter.com/bravefrontier for regular updates on this project and the coming Southern Cross and New Generation games. Great news! We had some of the hardest testers I know hammer on the #ROBOTECH: Crisis Point prototype and it went really well – deep tactics and strategy and good speed of play with great balance. Excited. *Note – any suggestion that SolarFlare Games chooses to use becomes the sole property of SolarFlare Games but we will make sure to list your name in the rule book as an “Adventurer” (the thank you section) as a reward/thank you. Some very cool news for SolarFlare Games from this week. We signed an agreement with “Movie Banking” a Shanghai TongYi Culture Communication Co., Ltd. company. We will be working with them to translate #ROBOTECH:: Force of Arms into Chinese and then exclusively distribute that version in China. 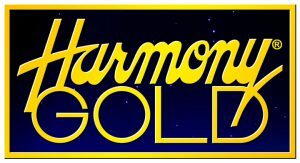 We are very excited about this partnership allowing our game to reach even more fans of our games and the ROBOTECH property. Below is a modified version of the current box cover. This is just WIP – we will be working with Movie Banking to make a cover truly unique for the Chinese version – in the meantime, you can check this one out. If all goes well with Force of Arms we will work to bring the Grand Canon Expansion as well as the Crisis Point and Invid Invasions games to China as well. ROBOTECH: Force of Arms artwork keeps coming in – the Zentraedi heroes are now done and just waiting for final approval. We wanted to share and see what you think. Follow us here on FB and on twitter ( www.twitter.com/bravefrontier ) to keep an eye on what is ahead – victory! Yes you all heard there was huge #solarflares hitting the earth today…I guess we should have given you a little more warning…our bad! Follow us here on facebook and on twitter ( www.twitter.com/bravefrontier ) to keep an eye on what is happening in space and near earth orbit. The Zentraedi are coming and the #ROBOTECH Defense Forces are deployed getting ready for the attack…sign up and join the RDF and help defend the earth. The attack is coming around July…be ready!!!! Gloval, Lisa, Max and Rick hope you join them! As we are finishing Robotech FoA – we are also working on getting the art ready for The Kids vs Quests and started working on the early proto card designs and the card art. Some new and some we have used before since the game worlds are connected and well it is just so damn pretty.